The diving at Little Cayman is just fantastic – some divers say it’s the best in the Caribbean! – and this is one of our favorite dive resorts anywhere. The facilities are top quality (they completely remodeled in 2009) and the friendly staff is dedicated to making your vacation experience perfect in every way. 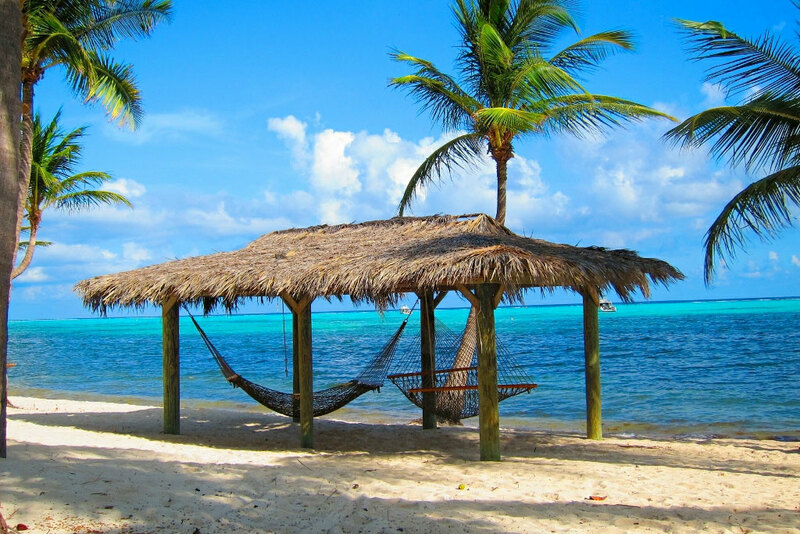 There is a beautiful white sandy beach with palm trees and hammocks. Gorgeous lush tropical landscaping surrounds the pool and jacuzzi. 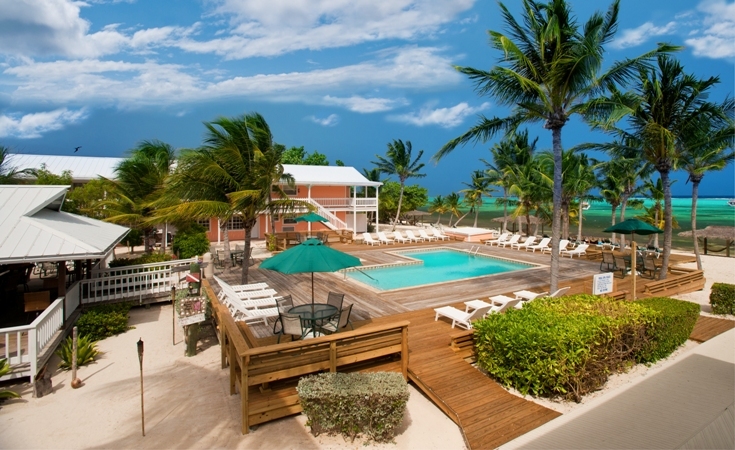 The resort’s 40 rooms (28 poolside, 12 oceanfront) are located in several buildings around the property and all are just steps away from the restaurant, beach bar, exercise room and dive and photo centers. Beach Nuts bar, a laid-back and friendly open-air bar, overlooks the pool and ocean. Bikes are available for free, just grab one and go anywhere on the island. Rooms are tastefully decorated with a Caribbean flair and may have either one king or two double beds. All rooms are non-smoking. Standard rooms have air conditioning, ceiling fans, televisions, hair dryers, and coffee makers. 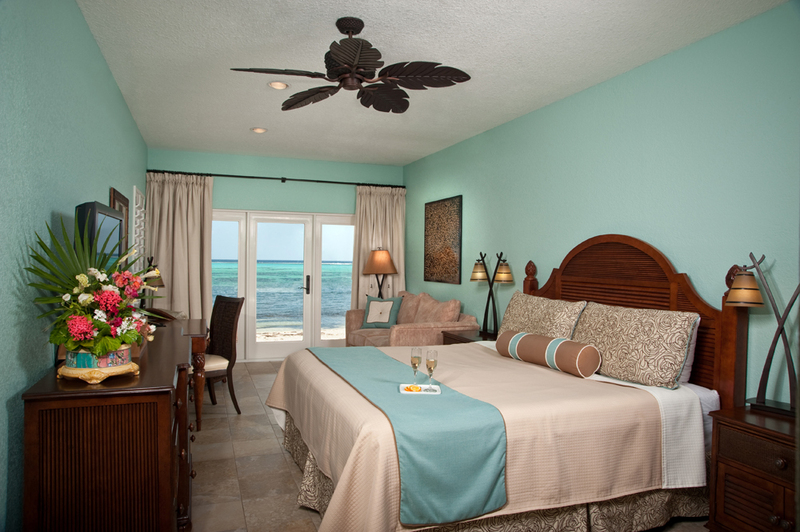 Ocean view rooms also offer a wet bar, microwave, refrigerator and a private balcony or patio. Telephone service is available at the front desk, but there are no in-room phones (however, most cell phones will work). Internet service is also available. The resort offers excellent cuisine and either a full meal plan, or partial meal plan that includes breakfast and dinner only (most people choose the full meal plan since there are few options on the island. All meals are served buffet style, and you may choose to eat in the air conditioned dining room or outside on the dining patio. Reef Divers is the on-site dive operator. 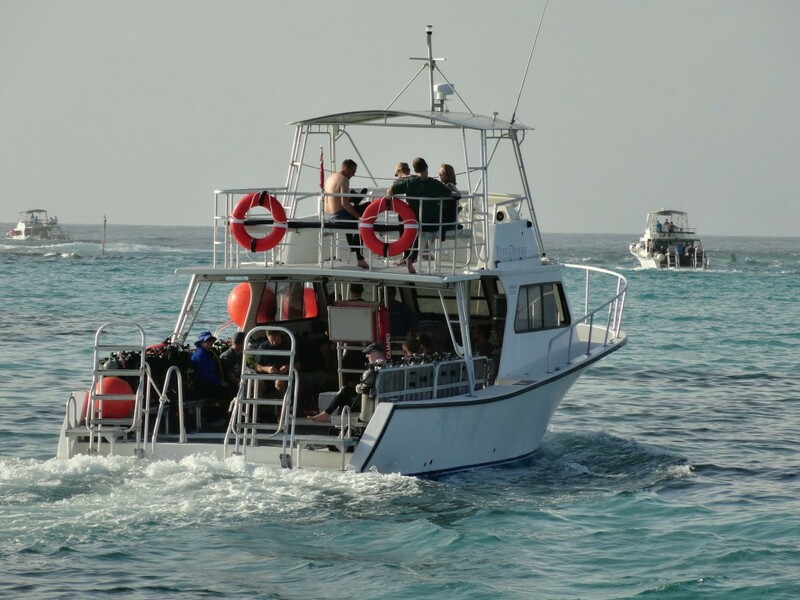 They offer a fleet of modern designed custom 42 foot dive boats, a complete inventory of tanks and scuba equipment and a staff of friendly and experienced guides and instructors. There is a full-service photo center with a selection of underwater video and camera equipment and repair plus on-site E-6 processing. You will enjoy their valet dive service – you keep your mask, computer and wet suit but the dive shop will handle the rest of your gear for the entire stay. They’ll have it ready and geared up for you on the boat every morning. 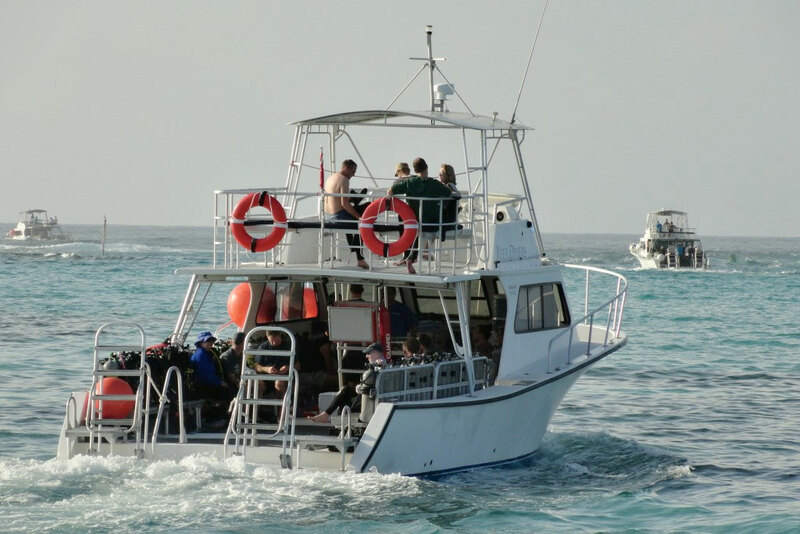 Diving includes 2 or 3 boat dives per day – on a two-tank 8:30 am departure and a one-tank 2:00 pm departure.